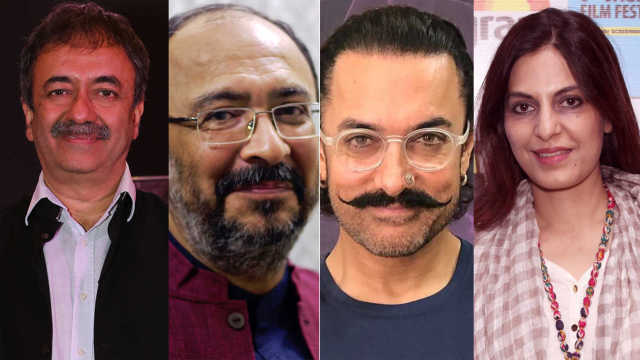 Countless stories of never-ending struggle notwithstanding, a few from the small towns and villages of India have managed to achieve name and fame in Mumbai’s film world, drawing ever more hopefuls to seek their fortune. One such hopeful is Rajdweep, who hails from a village named Dhing in Assam in India's Northeast. There is no cinema hall within 30 kilometres of his village, he says. Yet Rajdweep was among more than 3,000 hopefuls who entered the first edition of the Cinestaan India Storytellers Contest last year. 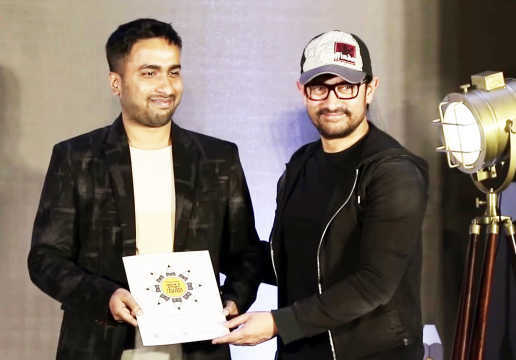 Some months later, to his surprise, he found himself in Mumbai, being feted as the fourth winner (or third runner-up) of the contest by a jury comprising actor-producer Aamir Khan, writer-director Rajkumar Hirani and screenwriters Anjum Rajabali and Juhi Chaturvedi. 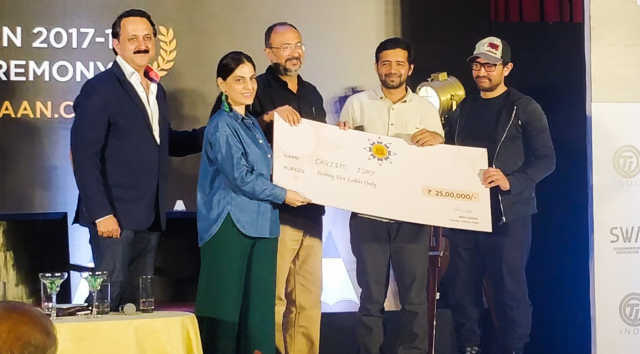 The first prize was bagged by Christo Tomy from Kerala while the second, third and fifth prizes were won, respectively, by Biplab Goswami, Satyen Bordoloi and Sagar Pandya. 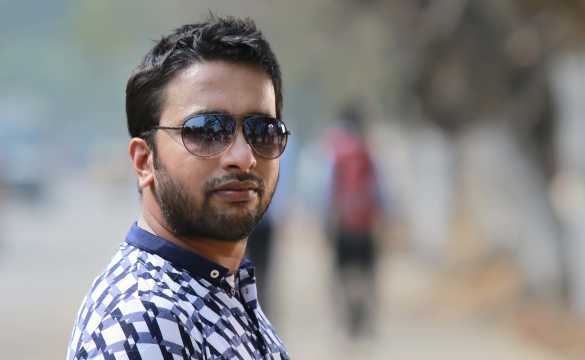 "I had not even thought I would get selected [for the final round of script submission]," Rajdweep admitted later during a conversation with Cinestaan.com. The aspiring writer had expected to face a long struggle in the big, bad city. His expectation has been belied somewhat, but, of course, he is not complaining. 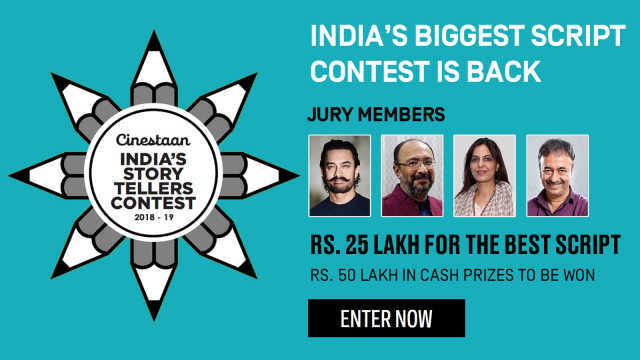 When he chanced upon a Facebook video posted by Aamir Khan speaking about the contest, there were just 10 days to go for the synopsis submission deadline. Worse, he was not a member of any screenwriter association. (Registering one's script with a screenwriters' association is a prerequisite for entering the contest.) A friend in Mumbai helped him complete the registration process quickly while Rajdweep thought up a plot and wrote a synopsis. Rajdweep revealed that the cinema scenario in Assam is quite bad. The state does not have a proper film industry. As a result, there is not much scope for writers. But the theatre movement is strong and Rajdweep had latched on to it some years ago, writing and directing plays. “We have a Jatra party which is quite advanced,” he said. It is basically the practice of mobile theatre. 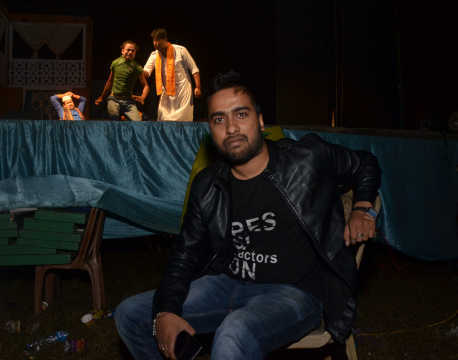 Rajdweep has been writing six to seven plays a year. “I use all my creative thoughts in this venture," he said. "As I am also a lyricist, I also write the songs for my plays. So we don’t get much time. We have to write in a hurry.” That experience stood him in good stead when he had to think up and dash off a plot summary in less than 10 days for the contest. Rajdweep came to Guwahati over a decade ago to do his master's in economics. But since school, he was inclined towards writing. And coming from an average middle-class family, his immediate concern was to start earning money. 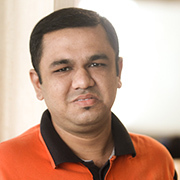 That is why he began writing serials for Assamese television channels from 2007 to 2012. His journey into theatre began in 2013 when he wrote his first play. But his method wasn’t conventional. “I wrote it in the way movies are written," he said. This went well with the audience as they got to see something new after a long time. Theatre audiences were dwindling anyway and so experimentation was no longer being frowned upon, a boon for Rajdweep. We know how important the first poster is for a movie. Rajdweep said the scene is similar for mobile theatre. “The poster needs to be interesting enough to pull people to the theatres,” he said. Rajdweep and his team pick subjects that are understood by village and small-town audiences. “I did a play on TRPs [television rating points, an audience measurement yardstick] in 2015. But the village audience couldn’t understand what is TRP,” he said. But Rajdweep believes strongly in the line from Om Shanti Om (2007), which in turn drew from Paulo Coelho's The Alchemist: If you want something badly enough, the universe conspires to ensure you get it.